Bob Hull Inc. (BHI) was founded by Robert and Carlene Hull in 1980 and the corporation was formed. BHI is located in Frankfort, Kansas. BHI is a member of the State Independent Telephone Association (SITA), Kansas Telecommunications Industry Association (KTIA) and also the Power & Communication Contractors Association (PCCA). BHI has done telephone work in just about every corner of the state over the past 20 years. There has been numerous job and significant changes since 1980. One of the biggest changes that came was turning the ownership over to Richard and David Hull. This was done because Robert had been diagnosed with cancer in the early 1990’s. After a long battle, Robert passed away on January 1, 2002. In 2012, David Hull retired. The first key player would be Richard T. Hull. He is the current president of BHI and has over 30 years of experience in this company. He is part owner. Richard was a superintendent when his father and mother owned the business. He can operate any piece of equipment that BHI owns if needed to be and a very efficient supervisor. Richard has a solid work ethic and is ready for anything. The next member of this management team is Matthew L. Wells. Matthew is a 1995 graduate of Fort Hays State University with a BS in Business Administration. Matthew has worked full time for BHI since June of 1999. He is the current corporate secretary for the corporation and is also the general manager. Matthew worked for BHI during the summers while attending college. Matthew has several areas to look after such as bid proposals, coordinating multiple construction projects, accounts payable and accounts receivable. Matthew become a partner is 2006. Another member of this management team is Kenneth Aubert. 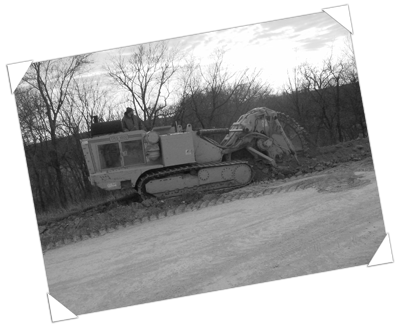 Kenneth graduated from Beloit Vo-Tech with a degree in Heavy Equipment Operation. He’s been employed with BHI since August of 1996. He’s been a supervisor on numerous jobs and has proven himself as a team leader. Kenneth is young in age but wise in knowledge when it comes to operating equipment. Kenneth is a solid member of the BHI team and is ready for any challenge that we may present to him. Kenneth became a partner in 2009. and Vice-President in 2012. A utility contractor is not made overnight. It takes long hours and several years of experience. You must learn this business hands on. With Richard, Matt and Kenny at the top the company is in good hands. The last member of the team is Brian Wood. 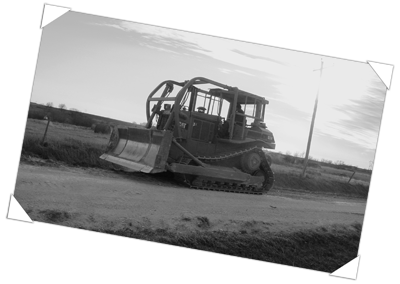 Brian has worked for Bob Hull, Inc. since June of 1999 and does almost all of its rock boring. He has an excellent work ethic and also is a shop foreman during our slow time. Bob Hull Inc. employs between 15 and 25 full time employees. The number fluctuates according to the workload. You can trust that Bob Hull Inc. will complete the job on time. Bob Hull Inc. has been in business for over 30 years and has a respected reputation in this industry.